Identify birds by their song. Compare songs that are similar. Select birds by species, group, region, season, and/or GPS. Maneuver between & personalize study lists. Employs tried & true memorization techniques. Discover the lost art of birding by ear. And if those features weren't enough to motivate you to download this app, a portion of the app's proceeds goes to Cornell Lab to further their educational and conservation efforts. So, not only are you learning how to identify birds, but you are investing in the work that this great institution does in the field of Ornithology. 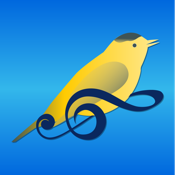 iKnowBirdSongs is available for iPhone, iPad, iPod and currently costs $9.99.